Which director do you love and which do you loathe? Calixto Bieto - I have his Wozzeck DVD and you know I have never bottom through the first few minutes. Please add and amend and give your views. 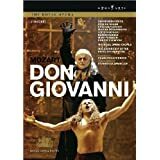 When you buy an opera DVD is there any director that really you must see or must avoid. Interesting. The stage director has so far never been a driving factor when I buy an opera on DVD. In fact, I don't really care who the director was. Instead, I choose which version to buy judged by the performers (singers, conductor and orchestra) and then followed by a sample of it if I can on youtube, written reviews, opinions and TC Top 100 etc. But a director can make or break a production even with good singers. 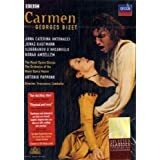 Look at the recent Rigoletto release with Florez and Damrau. Lenhoff is the director and this is a strange production. Other directors to think about. I love many of the Robert Carsen's productions I've watched. About Tcherniakov, I think he has too much of the 'konzept' school for my taste. The Carmelites production is divorced from the music and the text, so I don't find it interesting. Same could be said of Bieito, but in the case of Wozzeck (I watched this production live in the theater), I really enjoyed the staging. From Olivier Py, I've watched recently Les Huguenots, at La Monnaie. 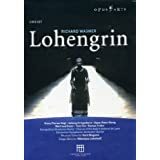 A heavily stylized evocation of French Renaissance, very beautiful in the eyes, managing colors and symbolism, with Cross and knife being the same thing... Good ideas, but again lack of connection with the opera libretto and music. About Kusej, his Lady Macbeth is indeed aggressive... perhaps a little bit too aggressive. Haven't yet watched this Rusalka. 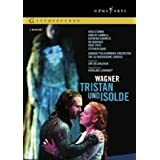 Oliver Py - Les contes d'Hoffmann and Tristan und Isolde count as recent releases. I found the set for his Contes D'hoffmann rather convoluted and complicated, and the costumes too odd. Wouldn.t go out of the way to buy anything directed by him. Waiting for Rusalka with some trepidation. His M22 Don Giovanni was really all about violence against women (brutalised underwear models), but his recent Fliegende Hollander from De Nederlandse Opera was effective in conveying Senta and the Hollander's status as eternal outsiders. I struggled through the whole of his Don Giovanni, but Peter Sellars and Claus Guth have done DG the drug addict much better. However I'd like to see his recent Parsifal, mainly because I enjoyed Andrew Richards' blog about working with him. Benoît Jacquot. May his firstborn turn against him, his steak always be overcooked, every parking space in the lot be occupied, and every radio station he switches on be playing Sarah Brightman and Andrea Bocelli. I agree - intimately emotional Eugene Onegin at the Met, Les Boreades breathing the essence of wind and weather, and Dialogues des Carmelites with a heartstopping final scene among others. Last edited by mamascarlatti; Jul-22-2011 at 11:38. Nothing too complicated/out there, but not boring either, and I like her predilection for making fit young men shin up and down walls . I recently watched this DVD. 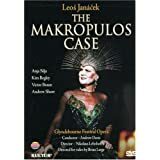 Some interesting ideas, eg making Eugene the eternal outsider and Tatiana almost catatonic with shyness, but some stage business really interfered with the music, for example Madame Larin laughing maniacally during others' arias in the first act, which drove me bananas. Three rooms where you could watch simultaneous actions by the protagonists while others were singing - but the video director did not make enough use of this, too many close ups of only one room. Milos Foreman....still did it better than all these guys! I think Pizzi often has very visually beautiful stagings. I agree with Nat that Tcherniakov's staging of The Gambler was a stroke of genius. I'm ambivalent about Kusej. Probably I'll have to say - too out there for my taste. Oh and by the way, welcome to the forum, new member Yashin! Last edited by Almaviva; Jul-22-2011 at 22:06. I don't really know him, but I did like the concept of his Macbeth, how he separates the audience from what happens on stage with a semi-transparent curtain. I quite like Beito's stagings. I thought the Fidelio he did in Munich was rather brilliant. 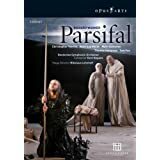 The Parsifal he did at La Monnaie had some very interesting ideas. Also, I quite like Stefan Herheim and David McVicar. Last edited by amfortas; Jul-22-2011 at 20:57. 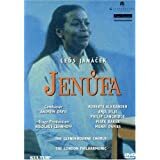 Favorite / least favorite operatic languages? All times are GMT +1. The current date and time is Apr-24-2019 23:02.